You will find that each GG&G accessories when combined with the purchase of the MUM is incredibly discounted! Because of this I will NOT break up any of the packages listed here, they are to be included with purchase of each tactical package. As with my other EE sale of the Select A MUM’s, (MiNi-14’s) you will find that this is the same unit listed here. www.ar15.com/forums/topic.html?b=7&f=23&t=302983 It comes with the same standard MUM accessories along with a ITT Data Card. Also the hand select tube option is also available as with any of the MUM’s for $250.00. I hope these packages will assist you with ALL your NV mission requirements as they are VERY unique and NV mission specific. "Long Range Engagements....The Next Best Place to Being There! "...Fear Not The Night, But Fear What Hunts the Night! Package #24 PIC added to show the MUM (MiNi-14) Select Alpha, MiNi-14 Flat Top Mount, Aimpoint Comp M3, and GG&G Cantilever Ring for the Aimpoint. Enjoy the PIC! New shipment of Select A's from ITT just in for you hand-select high performance guys! Thanks all! New through the tube shot of the MUM and the EO in Package #22. Enjoy! Plenty of Tactical Packages in stock all! Holidays are JUST beginning all and plenty of stock ready to go for all your NV needs! Thanks. Several happy customers on the best NV tactical packages out there! Enjoy. Looking for that all inclusive NV package. I have it for you! The new MUM mount combo with the EO are working well! Great selection of tubes left for the MUMS! Thanks all! Christmas right around the corner...Thanks all! You bet it is...Please get your orders in before December 22nd to insure your stockings are stuffed in time! Thanks all. Due to the HUGE demand of orders, (thank you), presently we are OUT of the hand-select option tubes for the MUMS until after Christmas! Because of this demand here on ARF15com, my supplier has JUST made available some VERY special high performance hand-select ITT tubes that includes a signal to noise ratio of 30+, Photo Response (Gain) with a majority in 2100-2500+, good to excellent cosmetics, as well as ITT data sheets of course. These were special auction tubes that were just made available exclusively to me and my ARF15com customers!! If you have the need for one of these special, very high-end performance tubes, they will cost only $200.00 more than the hand-select option tubes. (Total cost would be $450.00 above the normal priced basic MUM package). With ITT tubes availability and performance getting limited by the month, I feel these tubes are TRULY a REAL opportunity to have the best of the best out there! Our normal select-A tubes are still in stock for the holidays, but ONLY a limited supply of these VERY special high-end, hand select tubes are now being offered here for the first time. I want to thank you ALL for the orders thus far, it has been a mad Christmas NV frenzy!!! Thank you for the orders. No long lines of returns here! Plenty of components in stock. 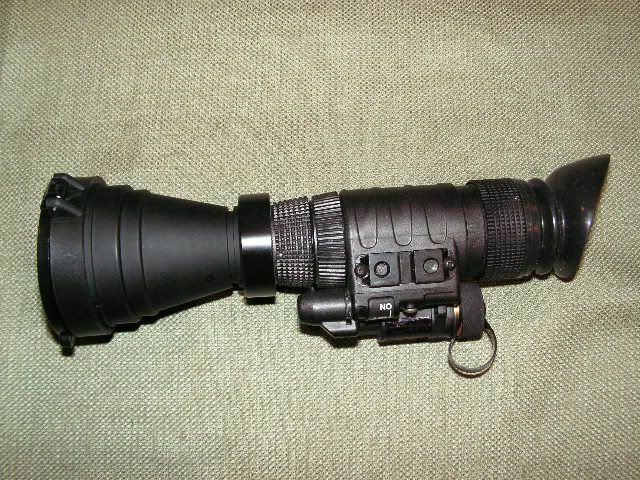 Here is an excellent review of a hand-select MUM and "Da-Torch" from "alaskasteve" among other items of NV gear I offer! Okay, I'm the Alaskan guy Vic has referred to. I just purchased a MUM from Vic along with a few other items including (Da Torch) which I will comment on here as it seems to be Da Place to do it. First off I want to thank Vic for all his advise and support which has been tops.. I've been out several times this last week testing out the equipment. 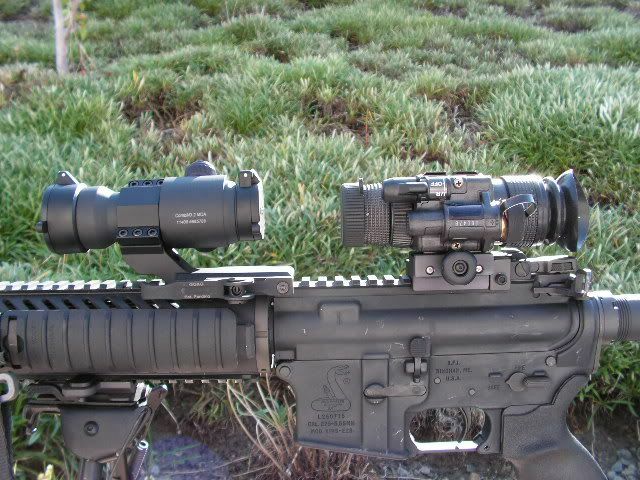 Set Da Torch up on my Bushmaster last week and did a few small patrols with the NV gear up the valley I live in.. Terrain is a mix of spruce forest with occasional gravel bars along a river bed with a few nice open area's to call in.. First night out it was snowing pretty good. Hit Da Torch from a high bank and scanned river bed and opposite banks..50-200m range.. Da Torch totally penetrates da snow falling. I will say it is almost to bright for close in work but you already new that.. I wonder if a flip up IR hood could be used over Da Torch for close in stuff.. 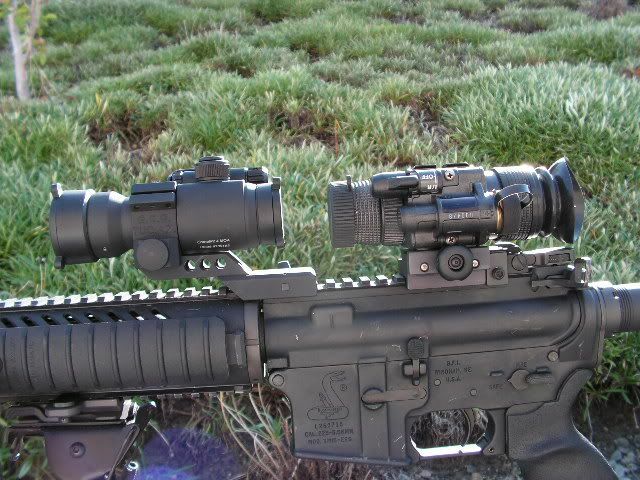 I also have an OTAL laser on my AR and by itself it really blooms with nightvision but if I hit Da Torch it knocks the blooming down significantly..
On second outing I did a little calling and spotted some eye's out around 200m in the brush but could not get more of a response than that. 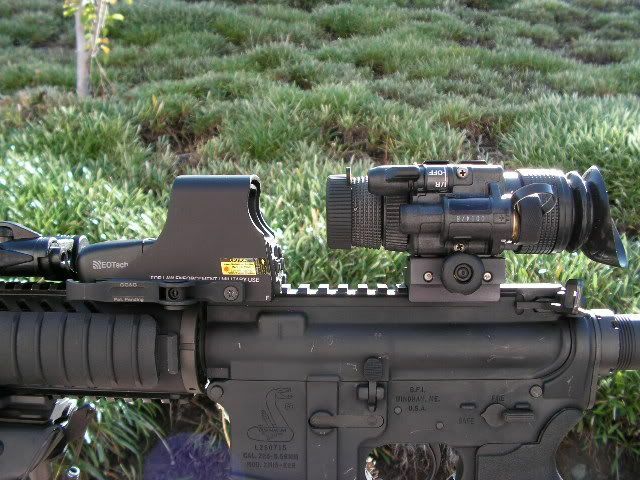 I have an EoTech and I'm finding its really only effective out to about 100m.. At this point I started feeling like I maybe should have purchased pvs-14 with a 3X magnifier for night hunting and game observation.. Courts still out on that. Sorry to be so long winded. Hope this gives some useful info for someone.. 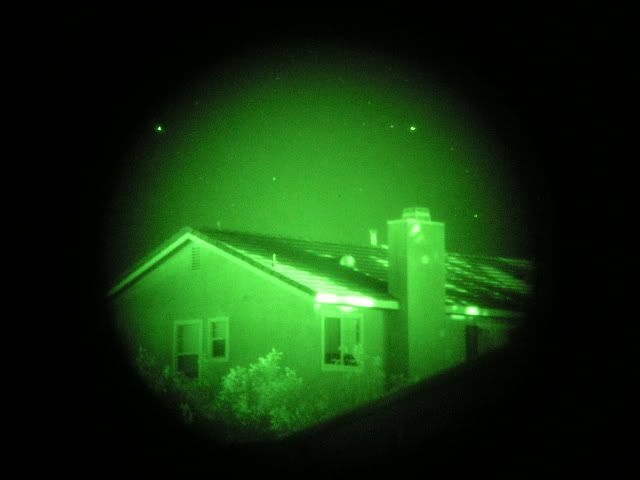 I'm new to nightvision and all the stuff that goes along with it but am excited to begin working with it. Hope everyone had a great New Year! Ready to start off the New Year with a great NV tactical package? I have one for all your mission needs! A BIG run on MUMS lately caused an out of stock condition on the housings. More in next week! 100 new ITT factory fresh tubes coming in at the end of January. Want to be at the top of list for a hand select tube? Thanks all! New tubes inbound soon. Get ready! You need a mission specific NV setup...inquire within! Your mission requires some longer range cpabilities with the MUM?....Seek no further with the new MUM lens adapter along with the 3x Mil-Spec Lens! Lens Adapter $69.00, Mil-Spec 3x at $475.00! More hand-select tubes inbound all! Btw to all....I will be out of town shooting yotes, bcats and (maybe) a cougar starting this Friday. I WILL be taking lots of NV pics! I promise to prop up a dead yote or something to view through the D-760! Please feel free to call, as I will check emails upon my arrival back on Sunday. Thanks all! Back in town all. Just a reminder that I will be at the Shot Show this week, so all orders after Wednesday will ship late the following week. Also, a big supirse for you all...Magpul has asked me to show off my mighty D-760 along with their superb PRS. This is your chance to take an up close and personal look through the D-760 and rest your cheek upon the PRS!! I will be at Magpuls booth a few hours a day answering questions, etc. So if you're around come say hi as I would be glad to meet you in person! I am also taking appointments throughout the show as well for sale meetings with all my NV products. Thanks all, be back on Monday from the Shot Show. Back from the show and will be processing all orders. Thanks all! Looking for that unique tactical package to fill your specific NV mission? Inquire within! !